Night sky at dawn. 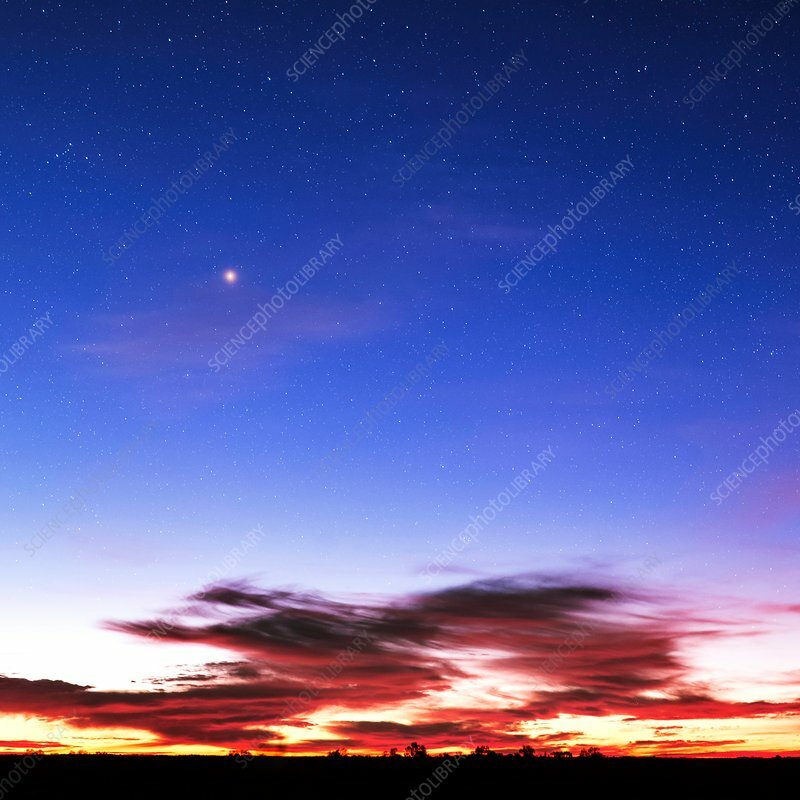 Bright star Betelgeuse (Alpha Orionis, bright, upper left) visible in the colourful morning light over the horizon at dawn. Betelgeuse is the ninth-brightest star in the night sky and second-brightest in the constellation of Orion. Photographed in Uluru National Park, Australia.